The Paleo community sometimes gets a lot of flack. There are skeptics who think we’re all too restrictive, we’re crazy, we’re misinformed. At the same time, there’s a lot of pressure from within the community at times. From lashing out at one blogger for using a non-stick skillet to berating others for choosing gluten free over strict paleo, there are always people out there ready and willing to point out another’s flaws. As a result, I’m going to make sure this is entirely clear. A huge part of my health is mental health. 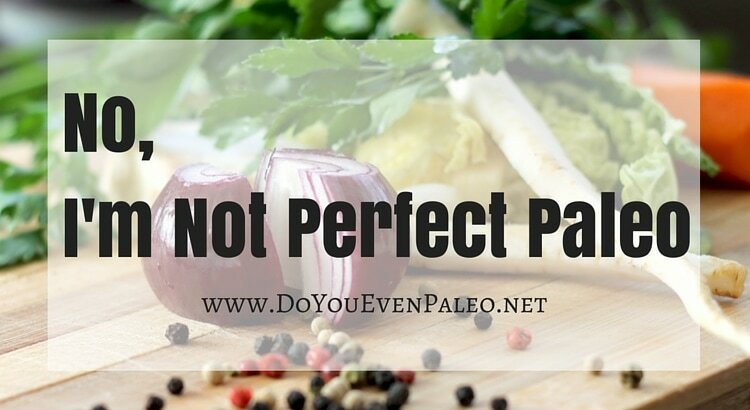 Trying to be strict, perfect paleo 100% of the time would drive me crazy – no going out for dinner with my new husband, no enjoying a drink with friends, no more enjoying some of my favorite foods and restaurants. I tried to make that all very clear by expressing in my About Me that I like pizza and beer – hell, I got married at a pizzeria. In my experience (autoimmune disease free), my body is healthy enough to handle the occasional non-paleo meal. Sure, I might have some gut discomfort afterwards, but it’s not as if I’m going to drop dead the minute some gluten or dairy touches my tongue. I think constantly stressing about my food or depriving myself of some of the social aspects of food would be worse for my health. Being a perfectionist, in my opinion, leads to orthorexic thinking and behavior. I want to get this out into the open. If you’ve finished a Whole30, 21DSD, or other challenge to try and refresh your relationship with food, there’s no reason to give up “paleo” because you don’t want to eat this way 100% of the time. I choose to eat paleo most of the time. But I also choose not to eat paleo at times. It’s my choice to make—and amazingly, I still feel confident about a paleo lifestyle when a bit of sugar touches my tongue. Some of the biggest names in paleo get it. They eat white rice or white potatoes, drink alcohol sparingly, eat cane sugar on occasion. But they’re still paleo, and they still believe in this lifestyle. Because that’s what it is. A lifestyle. Not a strict diet you have to adhere to. It’s a shift in the way you think about food—refocusing on healthy, nourishing foods…but still living your life and enjoying some of the not-so-nourishing yet delicious foods, too. So no. I’m not perfect paleo. I don’t want to be. I’d rather live my life, paleo style…but not restricted by a set of rules governed by the nonexistent paleo police. Totally 100% agree with this Chelsea! I’d rather live my life as a human being than a robot! Life is too short to worry about being strict because yes it will drive you crazy and when you slip up, it could lead to a whole amount of shaming yourself which I think is so much more unhealthy. Plus, we all have different bodies, there’s really no way that what works for one works 100% for everyone else. Life is too short to be so restrictive. It warms my heart knowing more and more people out there agree! Cheers to being paleo AND living our lives without restriction. Thanks for stopping by, Whitney! One might call one’s diet by another name if you chose to redefine the meaning of Paleo – like perhaps the Perfect Health Diet, which I understand includes occasional grains or Primal if one wants to include dairy . . . or just say ‘mostly Paleo’ . . . otherwise it seems like a vegetarian who sometimes eats steak or a vegan who includes eggs and cheese – the terms just lose their meaning, though certainly the people may be healthier for their flexible use of the terms. 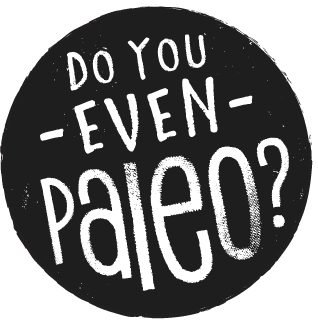 While I do agree with you that there are other labels you can give it if you aren’t strict paleo, what bugs me is that we feel the urge to label it. I totally stand by the paleo template and the foods it says to stay away from, but even then you find different “versions” of paleo. Some paleo leaders say to stay away from starchy veggies like sweet potatoes, yucca, etc. Some say to limit salt intake. Some say sweeteners like honey and maple syrup are 100% off limits and others say to limit them to a small amount each day. I don’t equate paleo to vegetarians or vegans, because many vegetarians/vegans pick that lifestyle for what they believe are ethical reasons (killing animals is wrong), not the purported health reasons (vegetarians live longer). Because of those moral values, I can see why it’s so blasphemous for a vegetarian/vegan to eat meat. But does that have to apply to me, too, when I eat pizza? All this to say that making paleo strict and rigid, with no leeway whatsoever makes it inaccessible to the majority of people in the world – me included. Anyway, I think I just have an issue with the personal labels we affix to ourselves and others in general. I know not everyone will agree on the subject! I really do appreciate you stopping by – it’s always nice to get a response so I know I’m not shouting into a vacuum. 😉 Have a great day! Thank you for that inspiring piece. Everyone’s journey is unique and no one should be criticizing anyone for their personal choices. Life is meant to be lived and if a particular lifestyle fits, then by all means, follow your heart but eat the cake once in awhile!!! Don't subscribe All Replies to my comments Notify me of followup comments via e-mail. 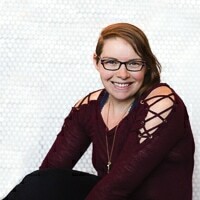 You can also <a href='https://www.doyouevenpaleo.net/comment-subscriptions/?srp=1268&srk=87505361eee98908ddf6ccb8681f50d6&sra=s&srsrc=f'>subscribe</a> without commenting.